On March 25, 1963 the album Please Please Me was released and a world-wide, multicultural phenomenon was sparked. Created by four street-wise young musicians from Liverpool, one classy Parlophone Records producer, and one publicity-savvy manager with flair, the album was only the first in a long-line of worldwide hits from this incredible collaboration. Now, 50 years later, The Beatles remain one of the most successful and recognisable groups on the planet. In this detail-filled book, Paul Charles looks at the years the Beatles were writing and recording music together. Using their singles, albums and career successes as sign-posts he discusses their artistic and commercial successes and also offers explanations as to why they were so successful. 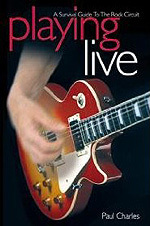 An invaluable "how to" book for anyone planning to get started playing live on the gigging circuit. Covering everything from putting a band together to finding agents, managers, lawyers, accountants, promoters, and road crews, this is the ultimate manual for survival on the road. Using sample expense sheets, Playing Live, shows where the money comes from... and, where it goes! Everything from concerts, radio and television, to merchandising, sponsorship and how to assemble your road crews. 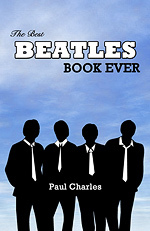 "For all those who dream of being the next Beatles, Paul Charles' latest book is an absolute de riguer purchase. A step-by-step guide to making a career in rock music whilst avoiding being shafted at every turn. Playing Live is essential reading. Enlivened and enriched by Charles' down-to-earth style, dry wit and superbly delivered anecdotal insights, this comprehensive guide leaves no stone unturned in its attempt to guide bands through the pitfalls and pratfalls of 'making it'... What makes this guide essential however is that Charles really does know the business inside out. His work with Tom Waits, Van Morrison, Jackson Browne and The Undertones (among many others) has set a benchmark for quality within the industry. Playing Live is as important to a new band setting out on their career as is remembering to pack the guitar leads before heading off on their first gig." "The best stuff is about how to make money from playing your music and how to avoid being ripped off at every stage. 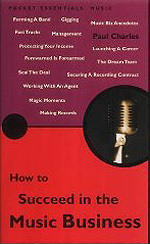 If your serious about your music career this book is a wise investment." "Most entertaining of all are the anecdotes, and it's possible to read this book without possessing an ounce of musical ambition and still enjoy it." "... every band should read." "If you sit at home thinking: 'The music business. That's a glamorous business. Loads of girls/boys, drugs, booze and loads of dosh: I'll have a bit of that' ... then if I were you I'd think again."